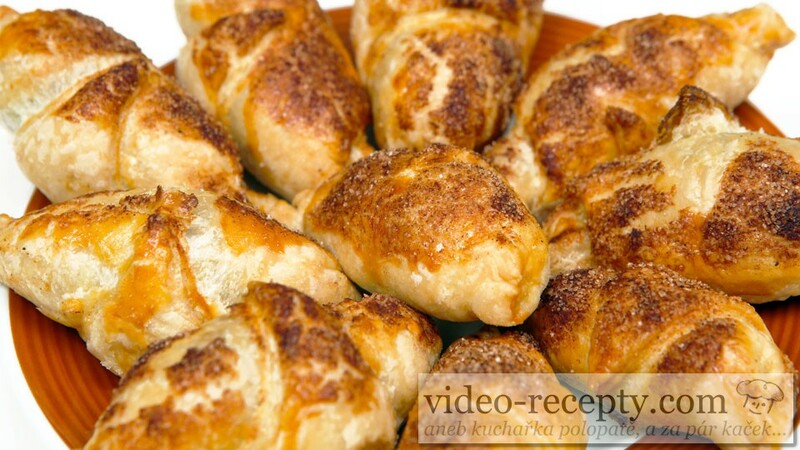 Chocolate croissant with cinnamon begins that you sprinkle worktop with flour. 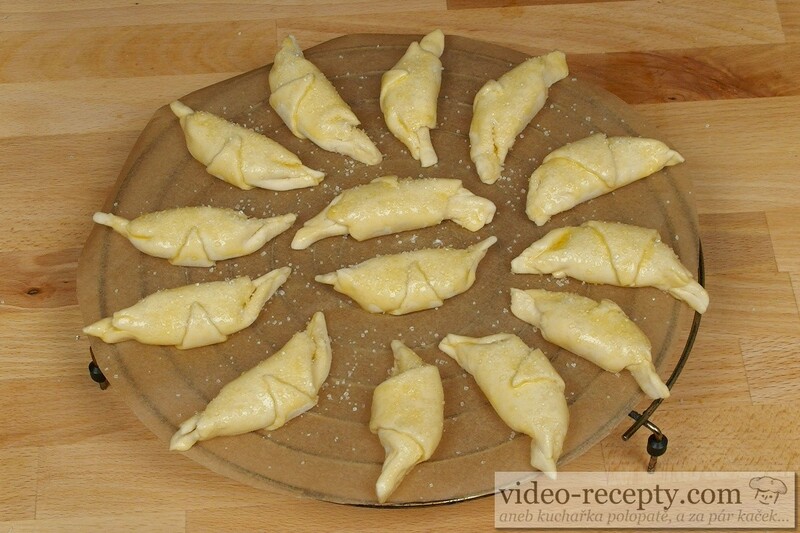 Cut the pastry into half and roll out the first half as you see on video. 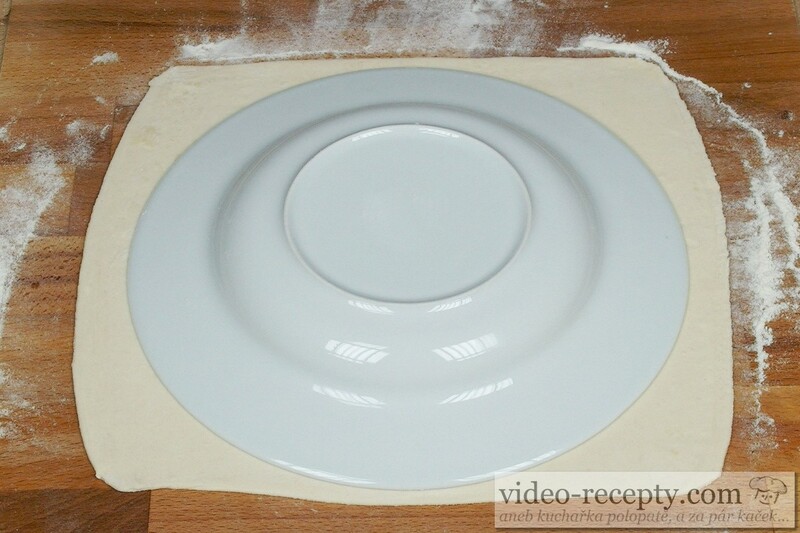 On a rolled dough (about 3mm thick) put a plate and cut the circle. Then split into eight parts. 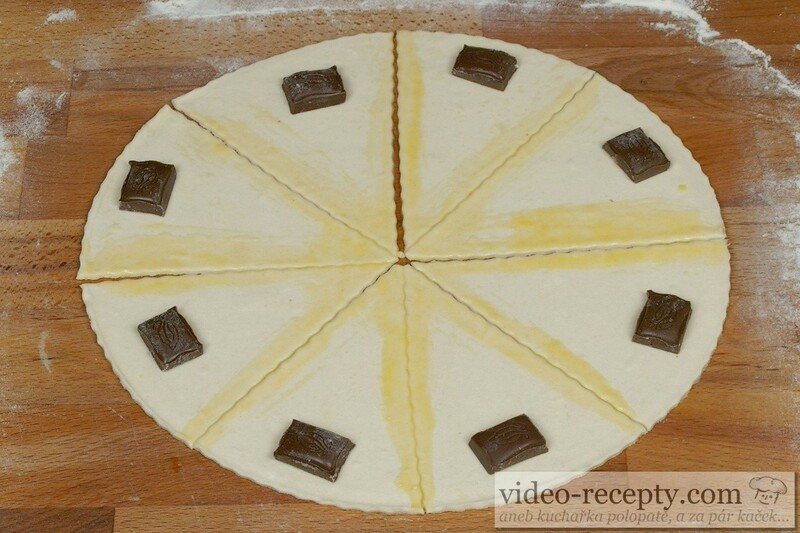 The edges of the dough brush with whipped egg, and put a piece of chocolate on each part. Wrap the dough into a croissant - from the wider end to the tip. Both ends of croissant squeeze so they will not unpack. 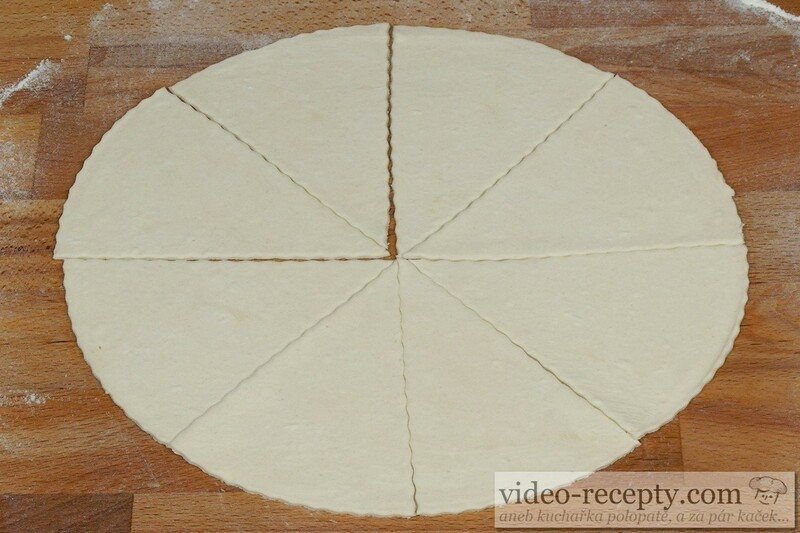 After you have done both halves of dough, join together all the residues and roll a circle. Then, proceed as in the first croissants. 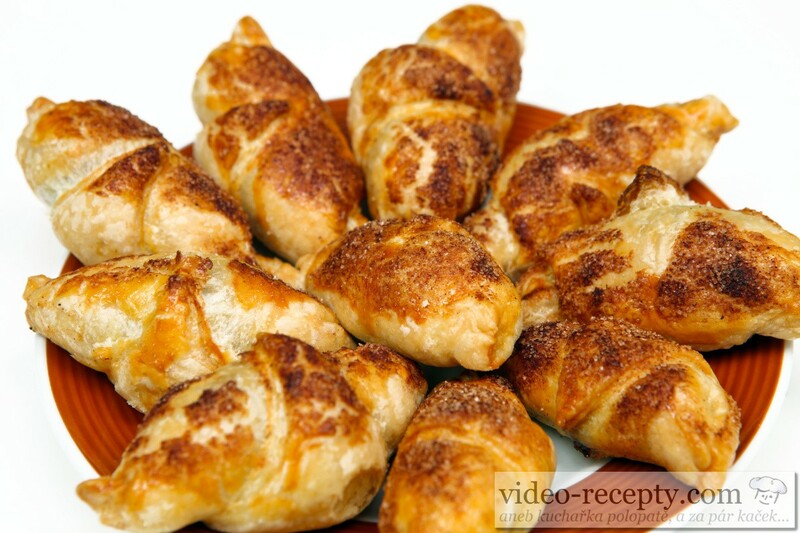 Brush the croissants with whipped egg and sprinkle with cinnamon sugar. On baking paper bake croissants at 180°C for about 35 minutes until golden. 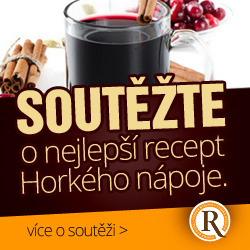 How to cook true pub goulash without MASOX and glutamate? It's very simple. Fast and very tasty salad with a few ingredients and lot of vitamins. Treat yourself with it instead of chips or crisps while watching TV. |When cutting, follow the rule: the harder the ingredient is the smaller pieces you cut. Excellent and attractive apple pie, which may look complicated, but it is very easy if you watch our video. | The top of a cake can be decorated with whipped cream and served with coffee, tea, or just enjoy it with mulled wine.